3 person class. Basics of baseball bat choke from knee-on-belly and onto turtle. Happy 2019! First class of the new year! Mark taught this class, it it was about guard passing basics. The technique he taught was to start your pass standing, step up and block the shin with your shin as you c-clamp their kneecap on the leg you’re blocking, pushing it forward to lock their hip. Your other hand holds their free foot to control it. From there, switch your grip to the pants at the knees, step back and straight arm their feet to the ground. With your elbows locked out, walk around them and tip their far leg away from you as you slide your knee into their hip to establish a locked side control. I went in with sore ribs. They held up okay, but afterward they sure are tender. I’m going to let them settle for a couple days and re-evaluate. Apparently Mark got “a scratch” and won’t be teaching for a while. Christian had to leave, so we just rolled. I warmed up with flow rolls from Travis and TJ. Then Rick got hold of me and broke my chest open with his knee, cranked my neck painfully enough for me to tap, and generally wrecked me even though he was trying not to hurt me. Well, that should have been it for me, but it wasn’t. I sat out a couple rounds but then rolled with Pat, who dumped me on my head. I’m not sure if I’m glad to have gone today. With great apprehension, I prepared and drove in to class on this Tuesday morning. I’d been out for a month and a half. My body was complaining that it wasn’t ready yet. I had a headache. My back was cramping. My muscles were stiff and weak and my joints were brittle. I went anyway. Walking in, I was greeted by the same old crowd I remembered. Christian, Jeremy, Cosmo, Chris, Mike, Sergio. I dressed up and limped onto the mat. Mark came out and lent me a book he’d told me about: Bruce Lee, Chi, and Me. Said he thought of me when he read it, and suspected I’d enjoy it. 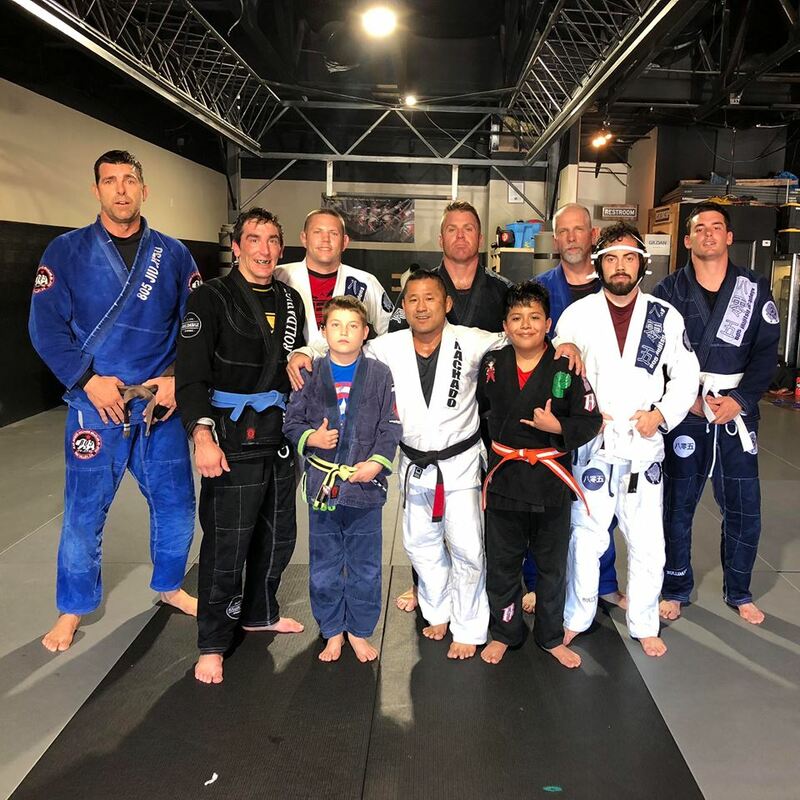 Mark promised to teach us some wrestling integration with BJJ, and that made all us fragile guys feel pretty nervous. But then he went on to tell us another way to get out from under side mount. First, he had us make space by windshield wipering our legs. Put your legs up and swing them side to side. From there you can fill the space with your leg and try to recover guard. The other thing you can do from there is to scoot your frame to the far side of their body, hook them in the crook of your elbows, and as you swing your legs away from them you hoist them overhead to scoot yourself out, using your leg momentum to get out and up to your knees. I’ve been doing a similar escape since Summer (ghost escape) so it came easy to me. Then we rolled. I did a light roll with Jeremy, and managed to execute the move of the day. Edifying. After that, I took a couple rounds off and then rolled with Mike. I ended up teaching him some stuff to do from top side control and how to escape the mount. Then another round off and did a “light” roll with Cosmo. As soon as I get into a scramble with him, I get smashed. Got my neck tweaked, but not further injured (I hope). Saturday rolling. No lesson. Small group. My neck was messed up so I went light. Shabbar still kept hitting me with north-south choke and getting the best of me in the scrambles, but I was doing well against everybody else. Christian taught us the De La Riva guard, including three basic sweeps. Then Mark taught us a counter to it, and we spent a bunch of time doing top-bottom-out starting in DLR or X-guard and battling out. Afterward, I went to lunch with Jeremy. We had sushi next door. Mark’s Tuesday morning class. While getting dressed, I showed Jeremy my fading blue belt and told him “Once this fades back to white, I get to put all my stripes back on!” and he thought that was hilarious. Class started with a normal warm up. I felt good! Better than I’ve felt in the last couple months. Then we got down to the technique, which is using the cross legged shrimp to ratchet away from side control bottom and go for the attack. Works against someone who’s not smashing down on you. We did a skill builder on the crash pad where we lined up, held the opponent’s hands by the meat, then dropped low to hook behind their knees before coming up with our forehead/face in their solar plexus and dumping them down. It has the benefit of making them hit the ground while you remain standing, and it was helpful in that it’s the approach we should take when we come up to our knees. Mark showed us how to take the back from side control. Basically it’s a knee slide under as you pull them on top of you. He also showed us how to yank a turtle over when you can’t push it over. TJ was my drill partner, and I found out that my left side of my back, near my spine, really hurt when I took weight on it. Bad news. But I rolled anyway. Started with Jose. Let him start on top of my turtle. He did the move of the day and choked me out. It hurt my neck. I didn’t tell him I was injured. I told everybody else though. TJ, Cosmo, Andrew, and Jose again. I did average. Got tapped. Did some escapes. Didn’t get more injured, as far as I can tell. Limped into Tuesday morning class. I’d been dreading it, and sort of yearning for release from suffering through any means at hand. I still went to class. My 49th year has gone downhill already. The high point was my birthday class. Since then, the Kings have been heavily into a skid, I’ve been crippled physically and emotionally, and nothing is going the way it should. My feet are ruined, my neck felt like there’s a taut guitar string running from behind my left ear down to my lower back next to my spine. My wrists and elbows hurt. My head hurt. Anyway, coach Mark taught us (again) the collar choke from behind, then back control with the hooks, then racking the arm and slotting the hand behind the neck instead of reaching across to pull the opposite side lapel like a doorbell rope. Then we rolled. I started with Christian, and he just gets under me and flips me over. I actually can’t remember all my rolls, but we did have 3 white belts in the class today. I taught Mike (works with TJ, 2nd BJJ class today) the very basic concepts of BJJ. I refrained from wrecking Jose’s neck when I took his back. I guillotined Jeremy from guard. I survived Chris’ knee-on-belly. I remembered how to do a half guard pass with Christian. I walked out better than I walked in. Win! You are currently browsing the archives for the Brazilian Jiu-Jitsu category.